It’s that time of year. The nights are shorter, the days are longer and the weather is…well, the great british weather. Now that the days are slowly warming up and the sun is finally starting to shine, more of us want to step outside to make the most of it. But with the weather so unpredictable – showers, heat and the occasional snow storm, perhaps it might be best to shelter indoors for just a little longer. But being inside doesn’t mean you can’t enjoy the blue skies, birdsong and flowers starting to poke their heads out. A conservatory means you can sit in the warmth and comfort of your home, enjoying the light and views of the great outdoors, without risking being caught in a surprise rain shower whilst enjoying your cup of tea. To make the most of your conservatory, why not consider a Guardian Roof in Alnwick? A Guardian™ Warm Roof is the ultimate addition to a conservatory, providing a comfortable, energy efficient and enjoyable living space. To decide whether a Guardian Roof is right for your conservatory, read on. Why choose a Guardian Roof Alnwick? A Guardian Warm Roof is one of the most trustworthy roofing systems available today. It combines beautiful, stylish finishes to make your home look spectacular with some serious energy efficiency, saving you tons on your heating bills. From start to finish, the installation procedure for a Guardian Roof usually takes around three days. Our team of expert roofing specialists will remove the existing glass or polycarbonate roof, before replacing it with a lightweight, energy efficient Guardian tiled conservatory roof. Inside the conservatory, you will have a plastered vault ceiling with insulation in the centre. Some of the benefits that come with a Guardian Roof include improved ventilation, temperature control and noise and glare reduction, making your conservatory a more enjoyable place to spend time in your home. All our installations are accredited by the Local Authority Building Control (LABC), so you can be assured your roof will be compliant with the terms and regulations for local buildings. We retain full building control so you can put your faith in us. A Guardian Roof is flexible, allowing you to choose from a range of styles that will perfectly fit your conservatory, whatever type you currently have or are planning on installing. For more information on conservatory roof styles for a Guardian Roof in Alnwick, contact a member of our friendly team today. A lean-to conservatory, where one side of the roof ‘leans’ against the house. A Victorian conservatory, where there are three to five facets and a ridged roof, creating a rounded effect. An Edwardian conservatory, slightly larger than a Victorian conservatory, with a more rectangular shape. A Gabled Ended conservatory, typically square or rectangular in shape with a high glass elevation, extending to the tip of the roof. A P-Shaped conservatory, also known as ‘combination’ shaped as it combines the lean-to conservatory style with the Victorian style. You can also request a bespoke conservatory roof tailored to your exact needs and specifications. Just contact one of our team to discuss your requirements. In addition to choosing the style of Guardian Roof that suits you, you also have a choice of roof tile, to ensure your conservatory blends in with the style of your home. We stock lightweight roof tiles in a range of shades, including stone black, pewter grey, brick red and ebony, so you are sure to find a style you love. Guardian Roof tiles are made using Zincalume protected steel, a sturdy and reliable material to ensure your roof stands the test of time. Is a Guardian Roof suitable for my Small conservatory? 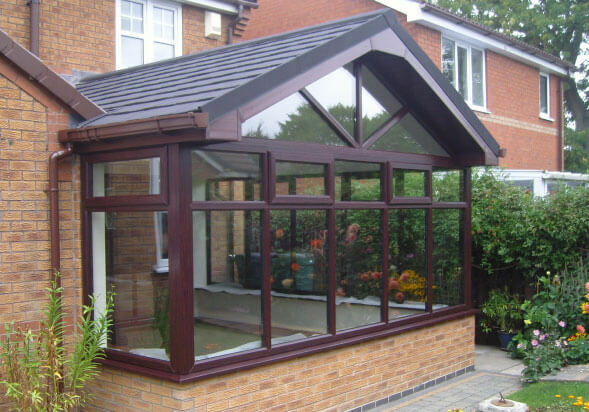 Yes, a Guardian Roof is suitable for all sizes and styles of conservatory. Its lightweight, flexible system means it can be added to the majority of conservatories without the need for additional reinforcements. Our expert team will carry out a survey as standard before installation to ensure no further structural changes need to be made before installing the Guardian Warm Roof. You may be asking, ‘how much will a new conservatory roof cost?’ Our Guardian Roofs are reasonably priced and give you excellent value for your money. To get a free, no obligations quote, fill out our online quote form, specifying the style of roof you would need, your choice of roof tile, any interior roof finishes or extras and the dimensions of your existing conservatory roof. You will receive a tailored quote to your specifications. To discuss your requirements for a Guardian Roof in Alnwick with a member of our expert team, call us on 01670 710050. 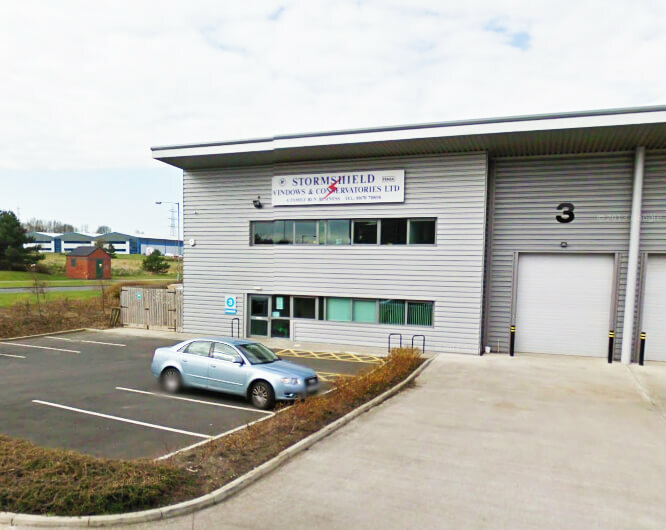 Stormshield has been providing home improvement services, including fitting and replacing windows, doors, kitchens, bathrooms, conservatories and orangeries to thousands of customers throughout the North East for 30 years. We are a family run business offering a friendly and professional service to all of our valued customers. Our wide range of products come in a variety of different styles and colours to suit every home and come with a complimentary comprehensive 10 year guarantee for peace of mind every time. So if you’re searching for ‘Guardian Roof Alnwick’, choose us for a fast, reliable service.